Depart from Muscat in the morning on a journey down the coast, stopping at the fishing village of Quriyat, Drive in search of Wadi Al Arbiyyin, nestled among the gorges allowing some thrilling wadi bashing In the back drop of the mountain this wadi is truly stunning Continue to Bimah sinkhole, a geological feature and a scenic wonder. 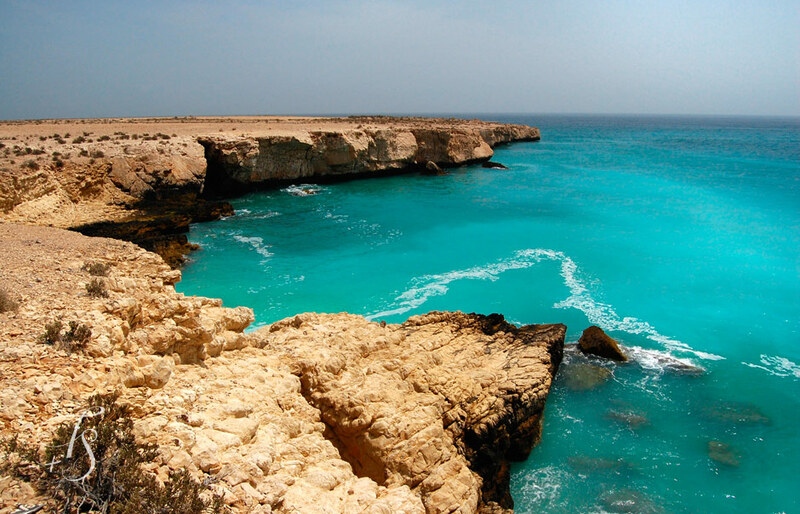 Further on is the white sandy beach of Mokhalla in Fins. 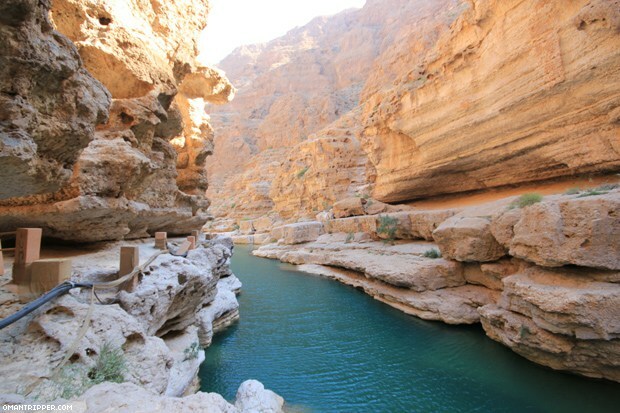 From here it is a short drive to Wadi Shaab where you can take a hike up one of Oman's scenic wadis. 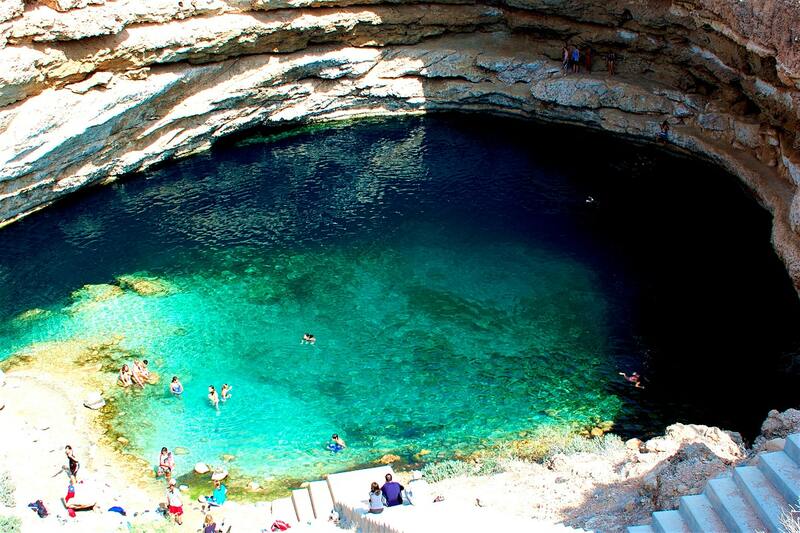 At the end of the hike is a swim though a famous keyhole into the secluded world of thrilling fantasy. 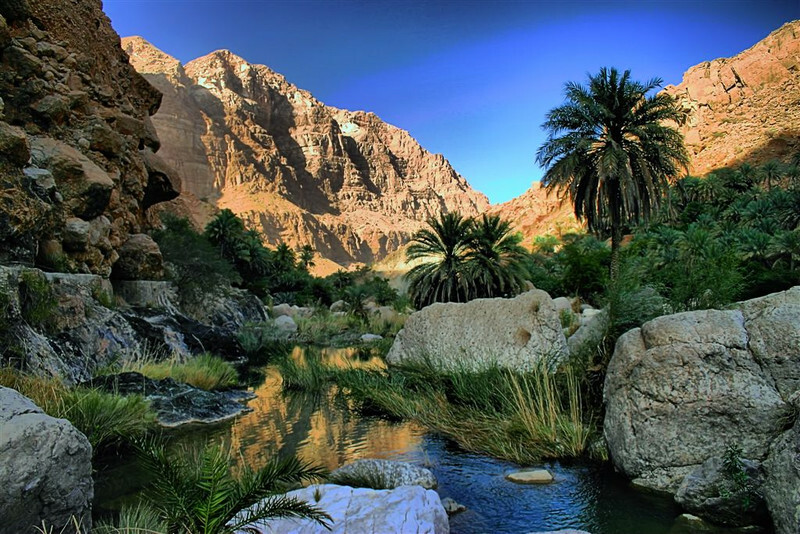 Later the drive continues to the lushed Wadi Tiwi, known as the Gorge of Nine Villages. The winding track and bumps past dwellings and through his peaceful and fertile area; where palm trees reach to the sky and Bananas grow in abundance. 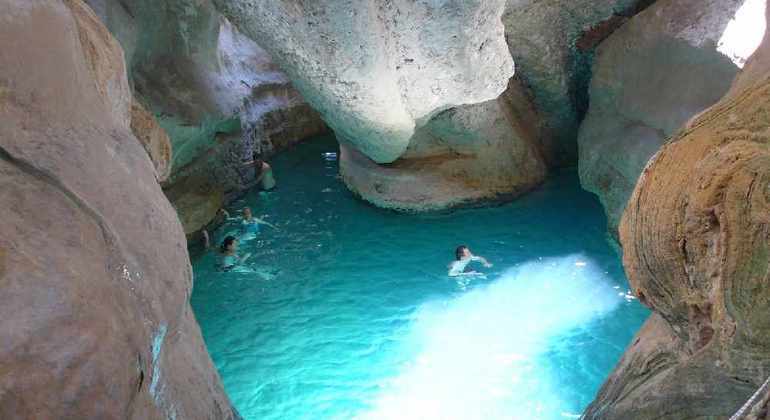 The sparkling water flows from the mountains forming tiny waterfalls. The road ends at the village of Mybam (about 36 km) which takes about an hour to reach. Return back to Muscat.